President Barack Obama arrived in Eugene on Air Force One just before noon today (Friday)-- before heading to Roseburg to meet with victims of the mass shooting at Umpqua Community College. KLCC's Tiffany Eckert joined the Whitehouse Press Pool at the Eugene Airport. President Obama lands in Eugene. 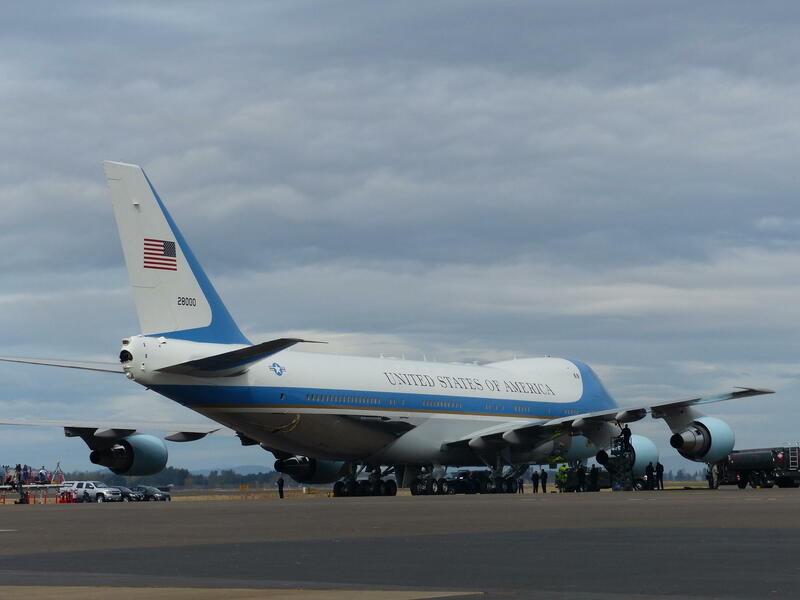 Air Force One in Eugene. Mayor Piercy has announced she will not seek another term as Eugene’s mayor. Piercy then prepared the crowd for her “Saint Nicklaus-like” work style. Eugene Mayor Kitty Piercy has announced she won't run for mayor after her term expires in two years. Kitty Piercy was first elected Mayor of Eugene in 2004. Piercy formerly served in the Oregon legislature. 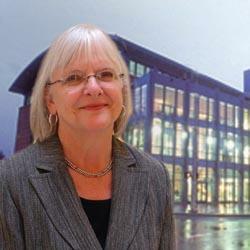 During her tenure as mayor, she oversaw the revitalization of Eugene's downtown. Several people have expressed interest in running, including city councilors Chris Pryor, Alan Zelenka and Mike Clark.